Starting a family restaurant can prove both challenging and rewarding simultaneously. You will need to consult with the whole family as you clarify your concept and put all the proposed details—from theme to menu choices—in writing. Speak to a financial advisor and plan ahead. Learn how to generate income and maintain the customer flow. Discuss with the family members their strengths and weaknesses. If you plan to start a business with your brother or sister, mom or dad, establish what role each of you will follow in the restaurant. If you have the charisma and communication skills, then perhaps you will make an excellent host or manager. Your mom perhaps will make a good chef and take on the important roles in the kitchen. 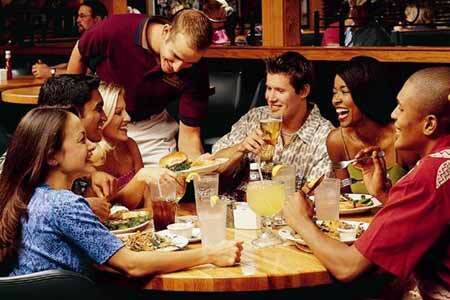 Having specific roles for each member will help allow the restaurant to run smoothly. Plan the restaurant’s dining style and concept. Most restaurants fall into one of these three categories: fast food, midscale and upscale. Conduct a demographic study of the surrounding area. If you plan to offer full bar service, ensure you have a wine and/or liquor license. Never forget to taste-test and develop the menu. Then discuss how to plot out your menu pricing strategy. 3. Secure funding. Write a detailed business plan to provide more financial security. If your family plans to fully invest, decide how the profit will go. Contact other investors or even personal resources like friends and family or a private corporation for a loan, then explain the business plan. Having a business plan that details your restaurant and your plans about how to make it profitable will show the investors you mean business. 4. Plan the layout of the restaurant’s space and decorate it accordingly. If your family can’t do all the work, contact contractors and get several bids. Choose whichever offers the best deal and can execute your concept. Don’t neglect the graphics. From the exterior design to the look of the tablecloth, graphic design plays an important part in your restaurant’s overall concept. 5. Market your business. Announce your new restaurant’s opening in your local newspaper. Advertise on bulletin boards and hand out flyers to locals. Ask friends and other family members to spread the word regarding the opening. Many restaurants actually do a “soft opening,” offering free food for the first few days as they get their bearings and train staff. This allows them to advertise the restaurant’s cuisine and test the staff’s knowledge and service skills.